Power has been called many things. The ultimate aphrodisiac. An absolute corrupter. A mistress. A musical instrument. But its true nature remains elusive. After all, a head of state wields a very different sort of power than a religious figure. 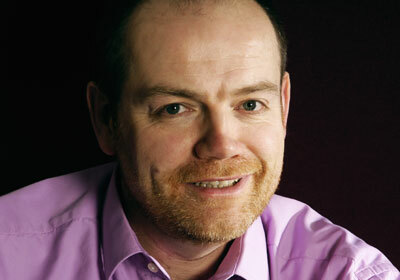 Can one really compare the influence of a journalist with that of a terrorist? And is power unexercised power at all? In compiling our first ranking of the World's Most Powerful People, we wrestled with these questions--and many more--before deciding to define power by four dimensions. First, do they have influence over lots of other people? Do they control relatively large financial resources compared with their peers? Are they powerful in multiple spheres? There are only 67 slots on our list--one for every 100 million people on the planet--so being powerful in just one area is not enough. Lastly, we insisted that our choices actively use their power. In compiling our first ranking of the World's Most Powerful People we wrestled with these questions--and many more--before deciding to define power in four dimensions. First, we asked, does the person have influence over lots of other people? 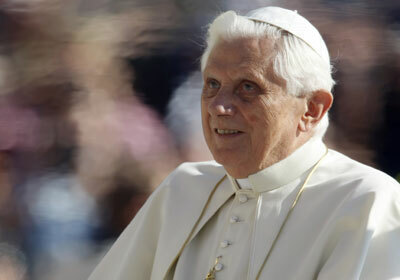 Pope Benedict XVI, ranked 11th on our list, is the spiritual leader of more than a billion souls, or about one-sixth of the world's population, whileWal-Mart ( WMT - news - people ) CEO Mike Duke (No. 8) is the largest private-sector employer in the United States. Then we assessed the financial resources controlled by these individuals. Are they relatively large compared with their peers? For heads of state we used GDP, while for CEOs, we looked at a composite ranking of market capitalization, profits, assets and revenues as reflected on our annual ranking of theWorld's 2000 Largest Companies. 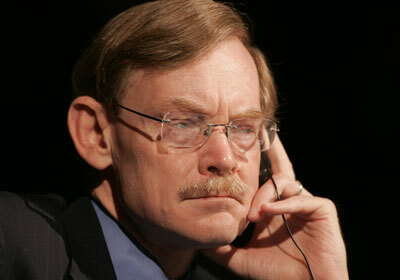 In certain instances, likeNew York Times Executive Editor Bill Keller (No. 51), we judged the resources at his disposal compared with others in the industry. For billionaires, like Bill Gates (No. 10), net worth was also a factor. Next we determined if they are powerful in multiple spheres. There are only 67 slots on our list--one for every 100 million people on the planet--so being powerful in just one area is not enough to guarantee a spot. Our picks project their influence in myriad ways. 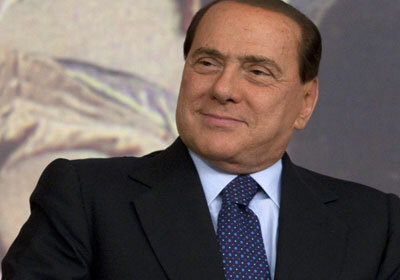 Take Italy's colorful prime minister, Silvio Berlusconi (No. 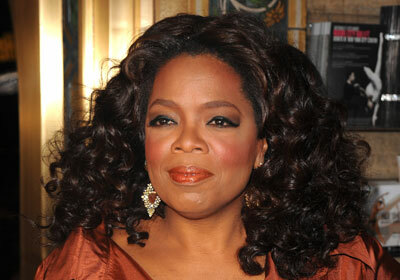 12) who is a politician, a media monopolist and owner of soccer powerhouse A.C. Milan, or Oprah Winfrey (No. 45) who can manufacture a best-seller and an American President. Lastly, we insisted that our choices actively use their power. Ingvar Kamprad, the 83-year-old entrepreneur behind Ikea and the richest man in Europe, was an early candidate for this list, but was excluded because he doesn't exercise his power. On the other hand, Russian autocrat Vladimir Putin (No. 3) scored points because he likes to throw his weight around by jailing oligarchs, invading neighboring countries and periodically cutting off Western Europe's supply of natural gas. To calculate the final rankings, five Forbes senior editors ranked all of our candidates in each of these four dimensions of power. Those individual rankings were averaged into a composite score, which determined who placed above (or below) whom. U.S. President Barack Obama emerged, unanimously, as the world's most powerful person, and by a wide margin. But there were a number of surprises. 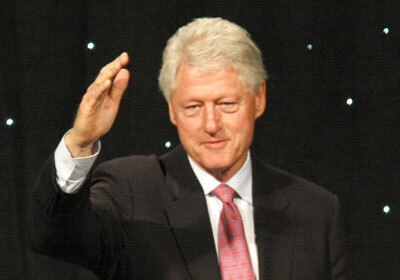 Former President George W. Bush didn't come close to making the final cut, while his predecessor in the Oval Office, Bill Clinton, ranks 31st, ahead of a number of sitting heads of government. Apple's ( AAPL -news - people ) Steve Jobs easily made the list, while Arnold Schwarzenegger, the movie star governor of California (which alone has an economy larger than Canada's) did not. This ranking is intended to be the beginning of a conversation, not the final word. 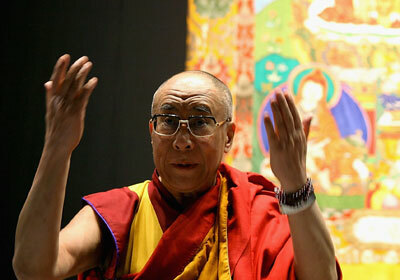 Is the Dalai Lama (No. 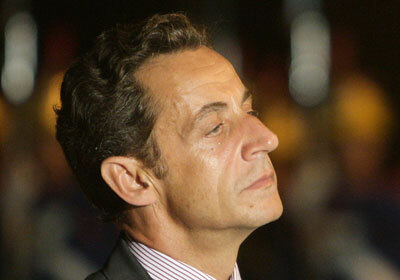 39) really more powerful than the president of France (No. 56)? 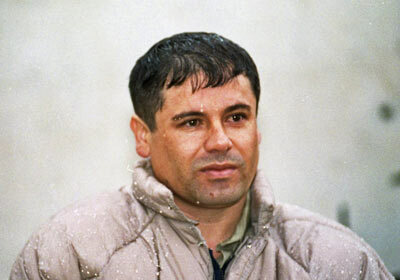 Do despicable criminals like billionaire Mexican drug lord Joaquín Guzmán (No. 41) belong on this list at all? Who did we overlook? What did we get wrong? Join the conversation by commenting now. 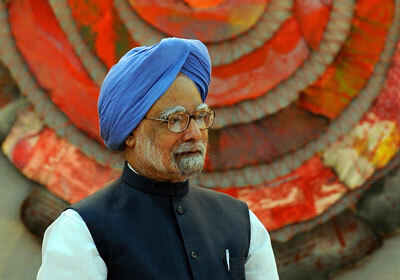 Prime Minister might as well be known as Czar, Emperor and Autocrat of All the Russians. Vastly more powerful than his handpicked head-of-state, President Dmitry Medvedev. Presides over one-ninth of Earth's land area, vast energy and mineral resources. Former KGB officer unafraid to wield his power; invading Georgia, cutting off natural gas supplies to Ukraine or Western Europe (again). 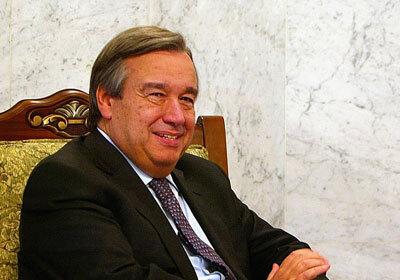 Declared nuclear power has veto on U.N.'s Security Council. The anti-Oba. "The leading British (the Times), Australian (The Australian), American (The Wall Street Journal) newspapers, in addition to tabloids like the New York Post and The Sun (U.K.). Also movies (20th Century Fox), books (HarperCollins), television (Fox, BSkyB he man who owns the news" still believes in print, not afraid to use vast media holdings to further personal political views. Media empire includes), online (MySpace). Weak ad-marketing hurting his News Corp.: net loss of $3.4 billion in fiscal 2009, stock off March lows, but still well below 2007 levels, when he made a $5.6 billion gamble on Dow Jones. Accused Google of stealing content; threatened to block search engine from indexing his Web sites. "Quality journalism isn't cheap. " Runs world's largest retailer, more country than company: $401 billion in annual sales, 2 million employees, 8,000 stores. Wal-Mart alone is China's eighth-largest trading partner. Largest private-sector employer in U.S.; favorite target of unions; blamed and praised for backing Obama health care proposals, shifting economic power from manufacturers to retailers, from mom-and-pop to big box. "I am competitive by nature and I want to win." With the world's population nearing seven billion, experts pick seven in their field who matter most. Prime Minister of Italy also media monopolist: Owns three television networks outright, controls three others through state. Also magazines, newspapers, advertising agencies. Beyond politics and publishing, sports: His AC Milan is one of the world's premier soccer teams. Colorful private life, bribery allegations, Cabinet member picks have caused him to be depicted as Europe's buffoon. 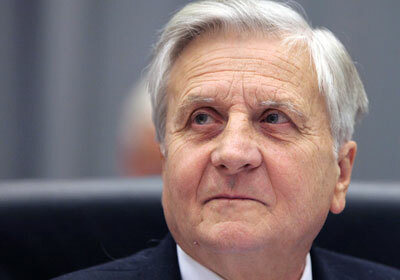 Unfazed: Calls himself "the Jesus Christ of Italian politics. 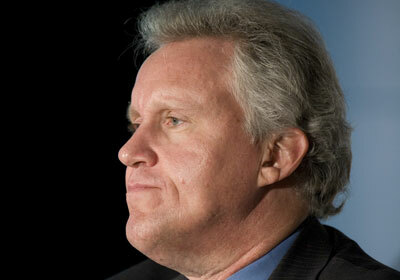 Heads General Electric, world's largest company. Financial services account for more than half of revenue, but also has major presence in energy, media, transportation and aviation. 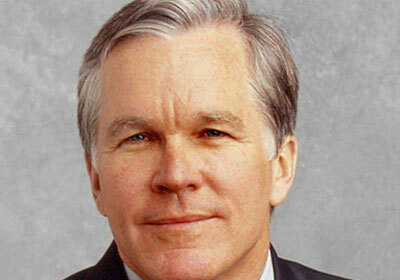 Company breeding ground for top executive talent; former GE brass have run companies ranging from Boeing to Rubbermaid. Company poised to profit from Obama health care plans and clean energy initiatives; one of planet's largest manufacturers of wind turbines. Yes we can: "You can either sit with a hood over your head and pretend things won't change, or you can get ready for it." Most powerful woman on planet. As chancellor of Germany, oversees Europe's largest economy and fifth-largest in the world with $2.9 trillion GDP; renowned free-market champion and favorite of big business, favors Euro over waning greenback. Green cred: Leading European charge against greenhouse gases. 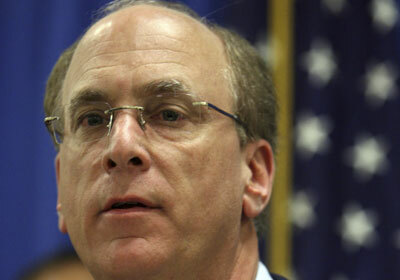 BlackRock CEO on permanent speed-dial at U.S. Treasury; investment firm will double assets under management to $3 trillion once June purchase of British banking giant Barclay's closes, making BlackRock world's largest money manager. Surprisingly candid: "What little hair I have left is rankled when people suggest that just because we are involved in many things, we are assumed to be guilty." 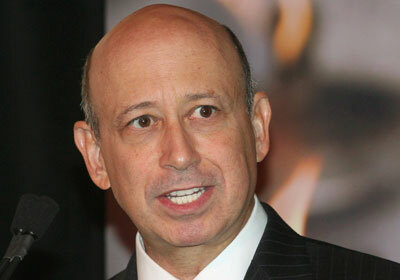 Corner office at Goldman Sachs earned him highest pay on Wall Street, big headache. Bank everyone loves to hate shrewdly hedged subprime market, steered investment bank through financial mess—with $12.9 billion in "trickle-down" help from Uncle Sam. Earned moniker "Government Sachs" for close ties to White House, high government posts held by Goldman alums. Quickly paid back government, with interest, earning $3.2 billion in blowout third-quarter profit on $12.4 billion revenue. Grab your pitchforks, populace: Already earmarked $16 billion (year-to-date) for bonuses. Controls what 1.3 billion Chinese see, hear, speak. Keeps "unhealthy information" (Dalai Lama, Tiananmen Square, Falun Gong) from world's largest Internet user population, estimated at 340 million. Controls CCTV, China's leading television network. Together with China Mobile, state-controlled mobile service company, switched customers' cellphone ring-back tones to patriotic beats for country's 60th birthday. Lyrics: "Only when we have a strong country can we have a prosperous family." 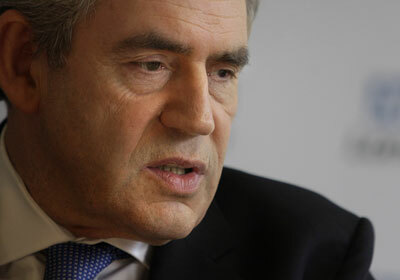 Bailout decider presides over financial equivalent of Cuban Missile Crisis. Less than inspiring rollout didn't inspire much confidence. Now with health care, energy bills stalled, pressure mounting to sell financial reform to Congress, Wall Street buddies. Updated job description: Keeping tabs on $700 billion in bailout funds, restructuring banks, directing auto and housing recovery, staving off protectionist demands, defending Obamanomics. Could use a personal day: Says reports of 100-hour workweeks grossly underestimated. "There is no typical day, and it's so much worse than you think." 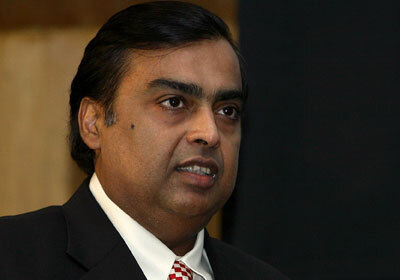 No-apologies cowboy runs world's largest, richest publicly traded oil company. Congress, consumers putty in hands. 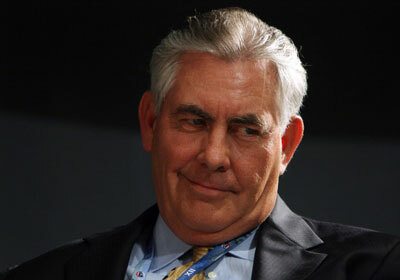 While competitors cut staff, Tillerson reinvests, this time in alternative energy. Appeasing shareholders with $7 billion in dividends and stock buybacks. Closet tree-hugger? Acknowledged global warming, doled out more than $600 million for algae farms that turn sunlight into fuel, even bigger bets on natural gas. "We are long-term-driven, and we're patient. And we're not opportunity-constrained." "Superman's" net worth down $10 billion in past year as Cheung Kong and Hutchison Whampoa stock tumbled. Upside, still world's largest operator of container terminals, major health and beauty retailer, supplier of electricity to Hong Kong and lucrative real estate developer. 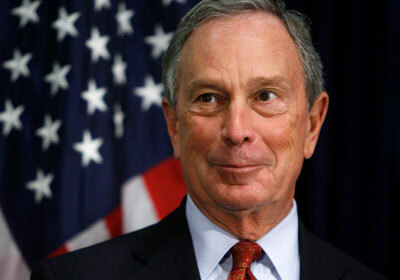 Generous: calls philanthropy "third son," plans to give one-third of wealth to charity. Athletic too: plays golf every day; reportedly sank his 15th hole-in-one in September. "Dear Leader" adept at playing high-stakes nuclear poker; hard to read bluff of man who reportedly uses body doubles, wears height-enhancing platform shoes. 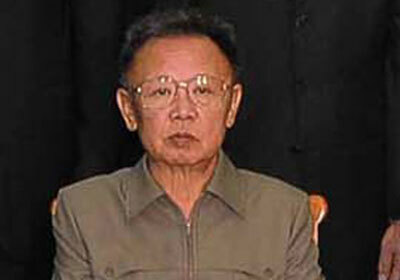 Despite population perpetually on the brink of starvation, Jong Il maintains world's fourth-largest active standing army, pursues policy of "military first" in allocating national resources. Responsible for monetary policy in world's second-largest economic area; 16 member states of Eurozone now contribute some 15% of world GDP. Unlike U.S. Fed, European Central Bank traditionally has focused on controlling inflation rather than spurring economic growth, a bias fiercely challenged by French President Nicolas Sarkozy. Veteran banker first joined Bank of Japan in 1972; holds graduate degree in economics from the University of Chicago; runs one of world's most important central banks. Recently relaxed some emergency measures implemented in the wake of the collapse of Lehman Brothers, including outright purchases of corporate bonds, yet kept benchmark interest rate at rock-bottom 0.1%. 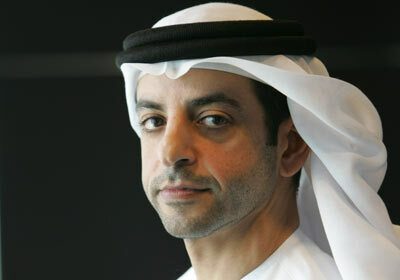 Elusive managing director runs world's largest sovereign wealth fund. But with disastrous bets in failing U.S. banks—including a $7.5 billion injection in Citigroup—fund may have lost top-dog status to Norway's $445 billion Government Pension Fund. 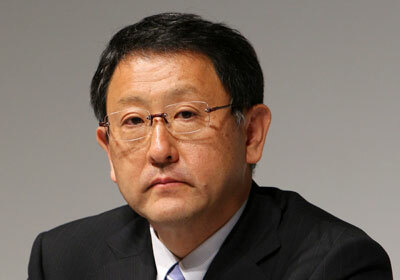 Grandson of Toyota Motor founder now runs world's biggest automaker, third-largest company overall. Industry stalwart not unaffected by global financial crisis; closed Japanese plants for 11 days, borrowed money from government-backed bank, posted operating loss of nearly $2 billion in fiscal year ended March 2009, first unprofitable year since 1938. Yet with impressive lineup of fuel-efficient vehicles, including fashionable hybrids, should emerge strongly from downturn. No longer president, not yet first gentleman, but still commands powerful role on global stage. Recent mission to North Korea to free U.S. journalists demonstrated enduring influence (or expendability). "It's good that we have a [term] limit. Otherwise I would have stayed until I was carried away in a coffin. Or defeated in an election." World's most powerful call him for advice. 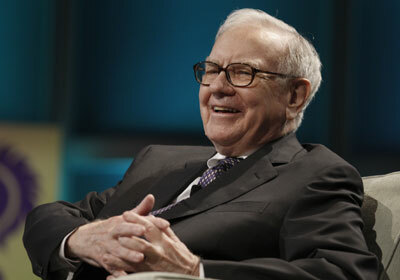 Buffett sings his praises. Fixed-income pioneer one of first to trade bonds for profit. Spared clients from subprime mortgage crisis. Consigliore to treasury now poised to make killing in recovery. 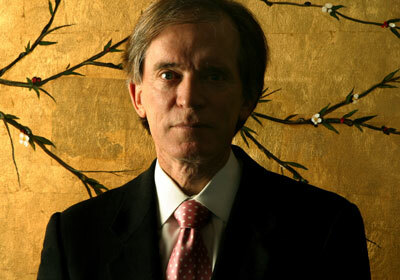 Personally manages PIMCO's Total Return fund, with $190 billion in assets. Fund reaped $1.7 billion the day of Fannie/Freddie bailout alone. Believes troubled banks are too numerous for government to nationalize all of them: "The U.S. isn't Sweden, and not just because our blondes aren't au naturel." "Lula" runs world's pantry, top exporter of sugar, orange juice, coffee, beef, poultry—exported $58 billion in farm products last year alone. Pet projects: tapping into vast oil fields off Brazilian coast, making country No. 1 in projected $125 billion carbon market. No pushover: "It offends me to see fingers pointed at clean energy from biofuels, fingers dirty with oil and coal." At G-20, blamed financial crisis on the "white and blue-eyed"; slapped 2% tax on foreign investment to stop surging Brazilian real, up more than 30% against dollar this year. Foreign investors unlikely to back off, though. Natural resources and infrastructure just too yummy to pass up. 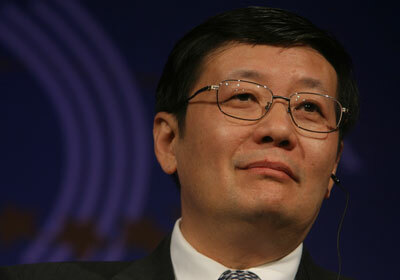 Runs China's $200 billion sovereign wealth fund. 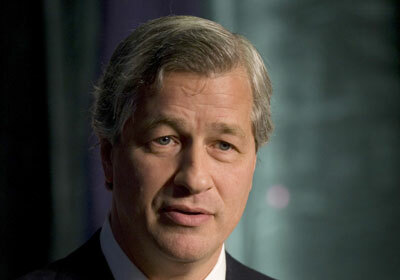 Took heavy hits from big bets on Morgan Stanley ($5 billion), Blackstone ($3 billion). But recovery whetting appetite: took $850 million stake in commodities trading company Noble Group to shore up agricultural commodities, following 2008 global food crisis. Japan's newly elected prime minister won commanding victory over 50-year incumbent party with pledges to jumpstart economy, improve foreign relations. Wants to redefine "BFF" relationship with U.S.; stressing "equal" relationship, "reconsidering" U.S. troop presence. Nickname: "The Space Alien." 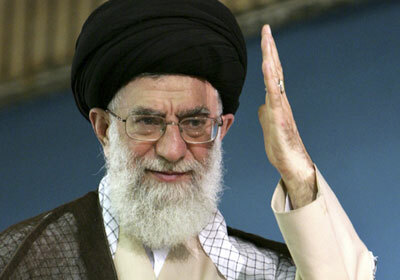 Talk of Iranian President Ahmadinejad misses the point, real power vested in Supreme Leader. 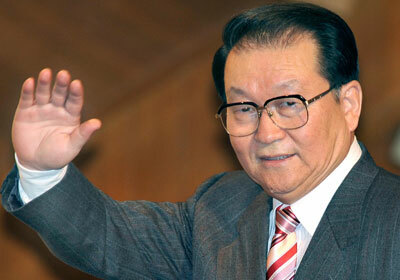 Shadowy cleric, former president himself, has ruled Iran with iron fist since 1979. Has final say in all matters church, state, nuclear. Testing Obama's national security leadership. Power waning post-election, though—called Ahmadinejad win "divine victory," then capitulated to protesters. Even go-to blame-U.S. strategy not working: Annual anti-American rallies commemorating siege of U.S. embassy were hijacked by anti-government protests. Most popular protester slogan: "Death to the dictator." Russian press calls him Darth Vader and "the scariest person on Earth." 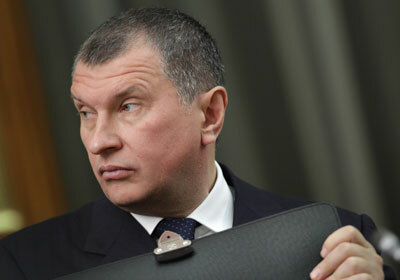 Official title is deputy prime minister; many consider him the most powerful man in Russia after Putin. 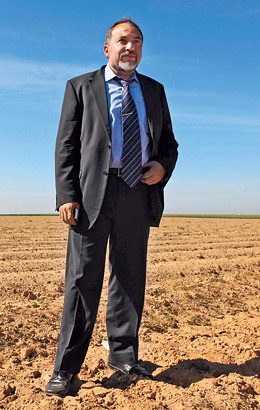 Kremlin's oil man oversees abundant natural resources. Beyond Russia: hammering out 20-year, $25 billion oil-for-loans supply deal with China. Dropped by Venezuela, Cuba, Turkey in recent months to talk oil, prove Russia has no need for U.S.
Thirty-two percent of Russians believe real executive power belongs to Putin, while only 9% give it to Medvedev, his hand-picked, doe-eyed successor. 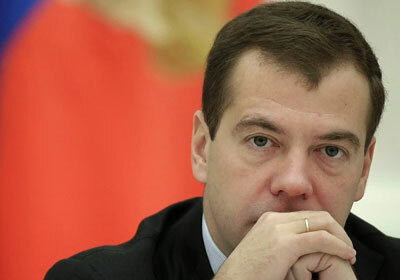 But Medvedev beginning to show chutzpah; recently went Jerry Maguire, writing liberal manifesto. Stopped short of criticizing Putin directly, but lamented Russia's "negative democratic tendencies" and "excessive government presence in many significant aspects of economic and other social activities"—a not-so-subtle jab at his predecessor. Uphill battle ahead: modernizing economy, fighting corruption, keeping Putin out of hair. French economist, politician is head of International Monetary Fund, global financial organization with stated purpose of promoting economic stability. With odd historical exceptions (Cuba, Andorra), nearly every nation on Earth is a member; emergency assistance and loans are provided to countries experiencing severe financial crises. Special Drawing Rights (SDRs), the IMF's currency, originally used to settle large gold-denominated transactions between nations; still used by global postal system, some telecom carriers. China, looking to reduce risk from large U.S. dollar holdings, recently proposed making SDRs a worldwide reserve currency. Organization did well at April's G-20 summit in London: Cash reserve increased to $500 billion, SDRs to $250 billion. 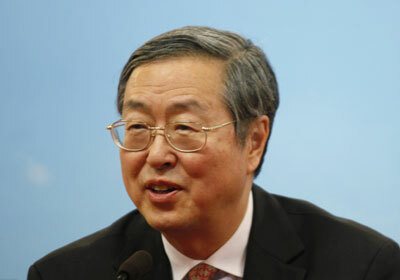 Governor of People's Bank of China, China's $2 trillion central bank, oversees world's largest reserves; biggest buyer of U.S. debt, holds almost half of reserves in U.S. Treasuries. Also biggest challenger to greenback's hegemony: Calls for IMF to create a substitute for the dollar as the world's currency of choice not unheeded. China's preference: so-called Special Drawing Rights (SDRs)—a blend of the dollar, pound, yen and euro—the IMF currency first conceived by John Maynard Keynes. 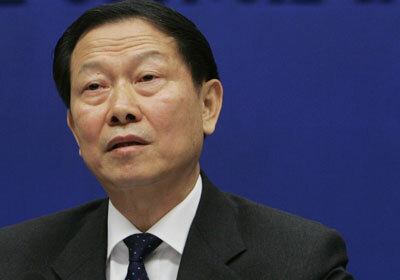 An economic reformer, Xiaochuan is not easily dismissed. But with an estimated two-thirds of reserves in U.S. assets, still very much beholden to Washington. No. 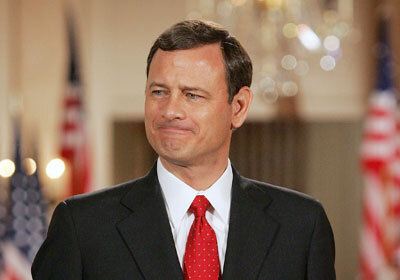 49 John Roberts Jr.
U.S. Supreme Court's 17th chief justice is arguably the world's most powerful judge; at 54, also the court's youngest. Conservative tends to rule in favor of corporate over individual, state over convicted, executive over legislative interests. Fond of judicial restraint, baseball: "Judges are like umpires. Umpires don't make the rules; they apply them. The role of an umpire and a judge is critical. They make sure everybody plays by the rules. But it is a limited role. Nobody ever went to a ballgame to see the umpire." Oversaw one of the most turbulent periods in New York Times history: Judy Miller fiasco, Bush White House calling for his head, reporter kidnappings, shrinking circulation and staff. But layoffs and lefty politics aside, the Gray Lady is still house organ of America's elite, and Keller sets terms of daily global debate. Now busy looking for ways to monetize online readership. Efforts to save paper "now ranks with saving Darfur as a high-minded cause." Not so fast, Murdoch: Says Times digital far outearns subscription-only Wall Street Journal on the web. 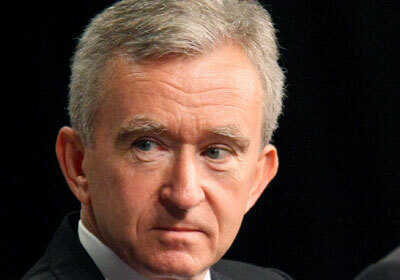 France's richest man is also world's most powerful tastemaker. Heads LVMH, world's largest luxury empire; brand guardian for De Beers, Dom Pérignon, Fendi, Tag Heuer. Expanding into China, Russia, India. Unofficial ambassador for France, Inc.: Dispatched to China to stymie Chinese campaign to boycott French goods in wake of Paris Olympic protests. Runs world's biggest sport, unofficial religion. Motto: "Football for all, all for football." As FIFA chief, presides over 208 member countries; 16 more than U.N. secretary general. 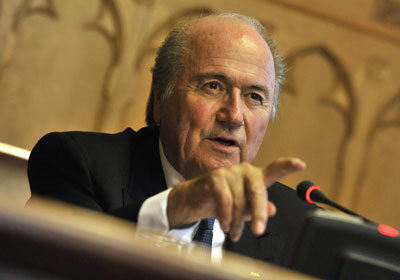 "FIFA is like the United Nations, but it has more members and is more powerful." Spends time fending off corruption charges, gearing up for 2010 World Cup in South Africa; only event more popular than Olympics. So long as matches keep drawing crowds and big ad spending, 2011 reelection in the bag. Al-Jazeera's Palestinian director-general oversees most-watched satellite channel in Middle East, also Al Jazeera's Web site, English speaking, documentary and sports channels. Not afraid to call out Arab leaders, Washington. Spearheading transformation of Arab media: imitators cropping up across the Middle East, defying traditional state control of media. 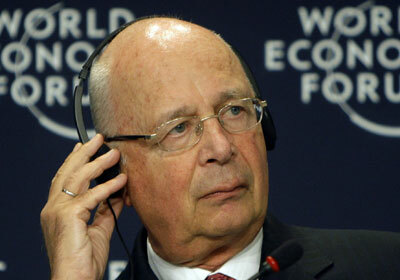 Challenged Arab League decree authorizing states to penalize broadcasters for offending religious, state authority. 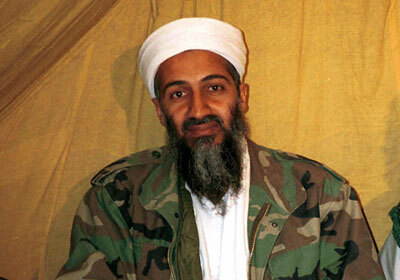 Criticisms of pro-Palestinian bias, "mouthpiece for Bin Laden," questionable editorial independence ceding to reputation as legitimate news organization. 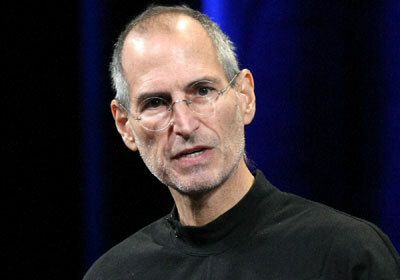 Insanely creative Apple co-founder transforms multibillion-dollar industry every few years. First personal computers with Apple II, Macintosh; then film with Pixar; more recently music distribution (iTunes) and mobile handsets (iPhone). 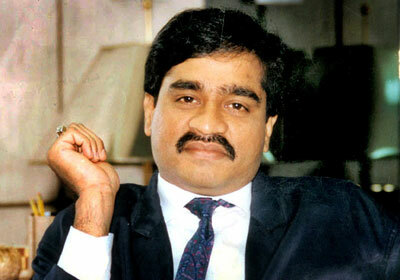 Known for egotism, wearing blue jeans with black mock turtlenecks. Took a leave of absence from Apple in 2009 to address serious health concerns; tumor removed from pancreas 2004, liver transplant in April 2009. 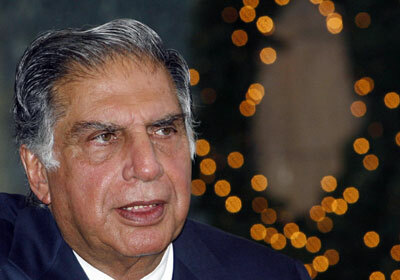 Largest shareholder in Disney, personal net worth of $5.1 billion. "Good artists copy, great artists steal." 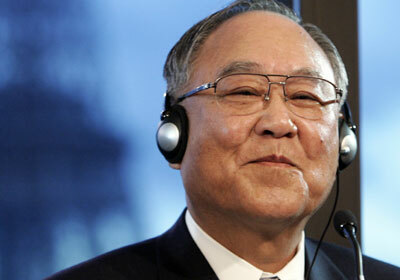 Chairman of consumer electronics giant Canon is also head of Japan's most powerful business lobby, the Nippon Keidanren. Oversees 1,600-strong membership, 130 industrial associations, 47 regional organizations, 1,300 companies. Anomaly to Japan, Inc: Fast, decisive, profit-oriented, far cry from bureaucratic consensus-builders holding back recovery. Uphill battle ahead working with newly elected Democratic Party of Japan, as nearly all Keidanren political contributions went to 50-year incumbents Liberal Democratic Party. 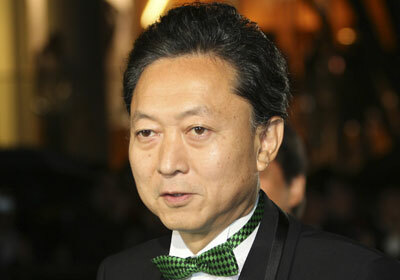 In 2007, members contributed total of 2.91 billion yen ($30.8 million) to LDP, vs. measly 80 million yen ($890,000) to DPJ. Criticizes DPJ proposals to ban temporary workers from manufacturing companies, cut greenhouse gases by 25% from 1990 levels by 2020. 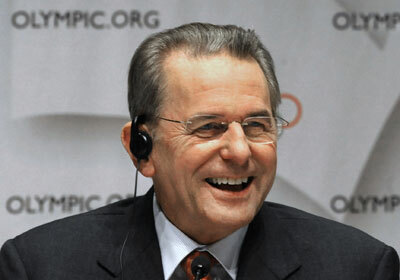 Runs world's premier sporting event; only man with the power to cancel the Olympics. Former orthopedic surgeon dedicated first term to aggressive anti-doping efforts; quadrupling International Olympic Committee's financial reserves. Dedicating second term to stamping out cheaters, championing Youth Olympic games, encouraging developing countries to bid to host games. Flip-flopper promised uncensored Beijing games, recanted two weeks later. Likes: women's boxing, golf, rugby added to Olympic roster (former member of the Belgian rugby team himself); yachting (three-time Olympic competitor), Rio de Janeiro. Dislikes: baseball, karate, roller sports, softball, squash (nixed from roster); Visa (extended global sponsorship through 2020, joining Coca-Cola, Omega); Chicago. Heads government agency that controls China's 150-plus state-owned enterprises; together, they had revenues of more than $2 trillion last year. 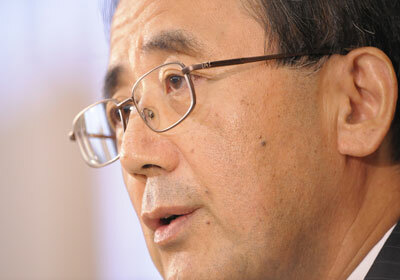 Expected to increase dominance in Chinese industries: energy, resources, transportation, telecom. Expand abroad, too: "We must encourage our top enterprises to go out and enter overseas markets and expand their business." Just in time for Copenhagen: Announced SOEs must cut industrial output by 20% and greenhouse gases 10% from 2005 levels by 2010. Most powerful man in agriculture, eco-villain turned hero. 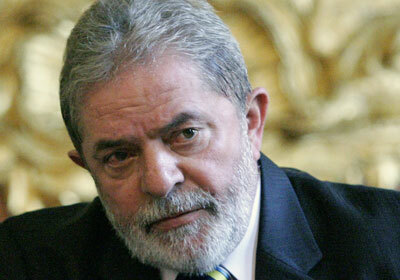 Governor of Amazonian state Mato Grasso also owns world's largest soybean producer. Helped make soy Brazil's No. 1 export; accused of tearing down rainforest, awarded Greenpeace's "Golden Chainsaw Award" in 2005. About face: currying favor of environmentalists by dramatically slowing deforestation rates, taking on loggers; lobbying hard for carbon compensation market to keep farmers from cutting down forest while reaping tax revenue for his state. Bush nominee replaced Paul Wolfowitz as president of World Bank in 2007; through 2012 will oversee institution with 10,000 employees, 186 member countries and annual lending in excess of $25 billion. Stated mission: Reduce poverty and encourage development in middle-income and creditworthy poor countries. 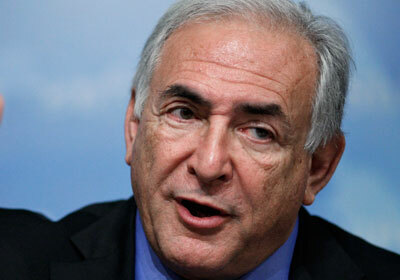 Critics see economic imperialism, instrument of U.S. foreign policy. Director-general for world's oldest and largest broadcast organization; BBC World News global reach estimated at more than 400 million people; relied upon for impartiality worldwide. State support insulates giant from vagaries of advertising market, but not editorial lapses: fined 95,000 pounds ($150,000) in 2007 for broadcasting game shows listeners could not win. More recently, Thompson under scrutiny regarding expense account amounting to 78,000 pounds ($130,000) over the last five years. Founder of World Economic Forum indisputably most powerful connector in the world; his annual forum in Davos, Switzerland, brings together nearly everyone on this list—plus Bono. Results often fall short of stated goal of "improving the state of the world," but feeds a slow January news cycle, conspiracy theories. Venezuelan ruler seems certain to be president for life after winning vote to eliminate term limits in February; wields country's oil wealth as sword against domestic poverty, U.S. foreign policy. Largest oil reserves in Western Hemisphere means money won't run out anytime soon. 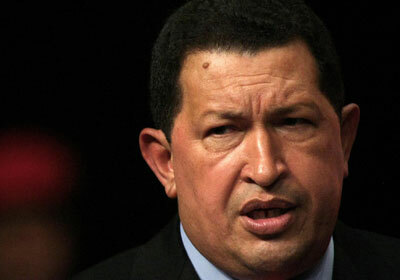 Chavez's 21st-century socialist agenda means price controls, food shortages, nationalized industries (telephone, steel, electric) and marathon five-hour-long episodes of his television talk show, Aló Presidente. How do I describe Uncle Teddy? Everyone knows him as the Lion of the Senate, a liberal icon, a warrior for the less fortunate, a fierce advocate for health-care reform, a champion of social justice here and abroad and now even a Knight of the British Empire. But I know him as the rock of his family: a loving husband, father, brother and uncle. He's a man of great faith and character. His personal story demonstrates that strength is built through struggle and hardship, and he shares that strength with tremendous compassion and empathy. Channeling his own experiences with tragedy and loss, he has personally touched the lives of countless others who have had to confront their own challenges. Teddy, 77, is a heroic figure not just in the Democratic Party but in American politics in general. That's because he overflows with energy and passion, and he devotes that intense caring to serving people in need and fighting on behalf of their causes. While he and I do not agree on every political issue, I have always admired his ability to work across the political aisle on matters such as immigration, health care, civil rights, education and the environment. His expertise in politics is extraordinary. I have personally benefited from his experience and advice, as I know countless others have. As a Senator, Teddy has a clear gift for communicating with people and showing true leadership. Through his actions, he proves that public service isn't a hobby or even an occupation, but a way of life. The new Administration is bringing health care back to the forefront of the domestic agenda, and there is one man I know who will push tirelessly to make quality health care accessible and affordable for all Americans. 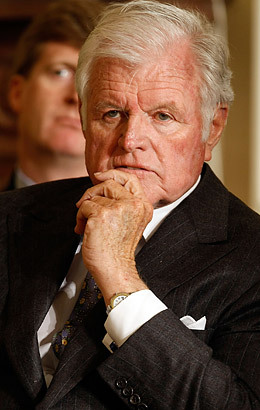 With Senator Kennedy leading the charge, nothing will stand in the way. Rarely do the names Descartes and Voltaire emerge during a debate on global economic policy. But when they do, it often means Christine Lagarde is using philosophy to drive home a sophisticated point about the markets. 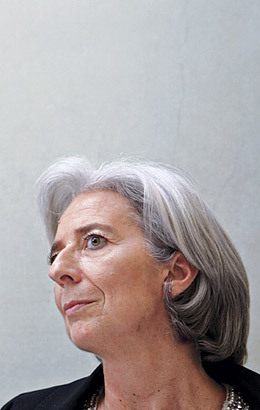 As the first female Finance Minister of any G-8 nation, Lagarde knows well what it takes to break down barriers. 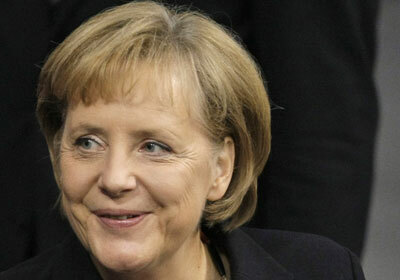 In France she has tirelessly pursued intelligent reforms of the economy with a no-nonsense approach. And with her counterparts in the G-20, she has forcefully advocated for greater adherence to international standards, ensuring a race to the top rather than the bottom. spite being one of the first countries to face this crisis, France is showing considerable resilience. As president of the New York Fed and as Treasury Secretary, I've met Lagarde a number of times. In each encounter, her lightning-quick wit, genuine warmth and ability to bridge divides while remaining fiercely loyal to French interests have been a source of admiration. In capitals around the world, as governments collectively seek economic recovery, undoubtedly there is shared appreciation that in Paris sits Christine Lagarde. The title sheriff does not conjure up visions of a warm, fuzzy humanitarian. The Sheriff of Nottingham made Robin Hood's life miserable just because Robin was trying to redistribute the wealth in Sherwood Forest. Sheriff Thomas (Blind Tom) O'Brien of Cook County in Illinois had perfectly good vision, except he could never see any of the illegal gambling that pervaded the county during his tenure. But the current Cook County sheriff, Thomas Dart, is giving a new image to the office. 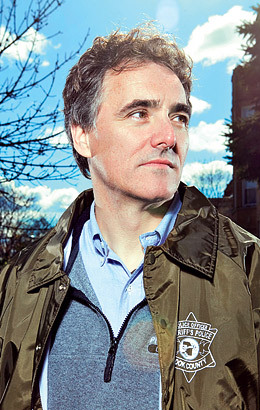 In the autumn of 2008, Dart, 46, announced he would not carry out any more evictions tied to the large number of foreclosures in Cook County. It was a bold move since the sheriff's duties specifically include the obligation to enforce writs of eviction. Not all the judges whose writs he was refusing to execute shared his sense of outrage, and some of the banks and others seeking to evict the occupants of the foreclosed properties threatened to hold him in contempt of court. A complaint was filed with the state board that disciplines lawyers. Dart decided to stonewall all criticism. "Most of those people being evicted had been given no process," he said. "This was the best way to get people to the table to start solving these problems rather than throwing kids out on the street." It worked. After a few weeks, the courts hammered out a plan with the sheriff. Before eviction writs can be enforced, it must be shown that the people to be evicted have been told why it is happening and given an opportunity to solve the problem. Dart is serving evictions again, but very few of them. And so much for the image of sheriffs as all gun and no heart. Lieberman, 50, was born and grew up in the Moldovan capital, Kishinev, the site, in 1903 and 1905, of iconic anti-Semitic pogroms. 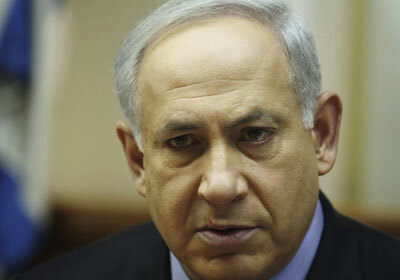 He immigrated to Israel in 1978 and is a resident of the West Bank settlement of Nokdim. At times in the past, he has contemplated a two-state solution, even suggesting that Nokdim could be uprooted in exchange for "real peace." But whatever his true beliefs, the Palestinian issue may well soon be irrelevant. The fractured Palestinians, with the Islamist Hamas party setting the tone, are far from ready for a two-state settlement. The issue that is currently, explosively on the table — and will increasingly dominate regional and international agendas — is the Iranian nuclear program. Lieberman believes (as do Netanyahu and Defense Minister Ehud Barak) that Iranian acquisition of nuclear bombs will mortally threaten Israel's existence. 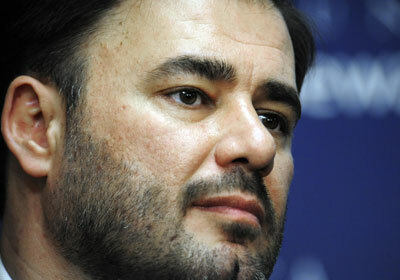 Mexican druglord Joaquín Guzmán, 52, is the new Pablo Escobar, a kingpin testing the ability of a nascent democracy to control organized crime. 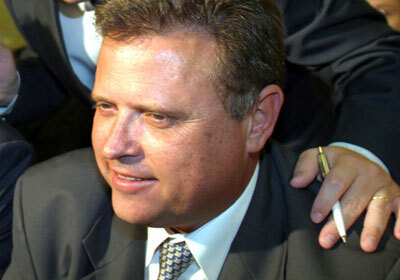 In 2001, Guzmán, a.k.a. 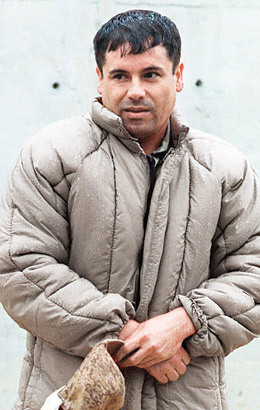 Chapo, or Shorty, escaped from a prison near Guadalajara in a laundry van and sparked a ghastly drug war responsible for the murders of almost 15,000 traffickers, cops, soldiers and civilians — violence that respects no border. Mexican President Felipe Calderón has sent his army after Guzmán, who heads the powerful Sinaloa drug cartel, but the man who tops Mexico's list of most-wanted criminals also made Forbes magazine's billionaires list this year. Scratching him off both rolls is now a U.S. as well as a Mexican priority. Nouri al-Maliki is the first Iraqi Prime Minister to hold office under the new constitution. 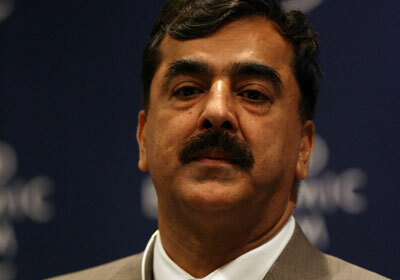 He spent most of his prior life as an Islamic Dawa Party activist working for Saddam's overthrow. 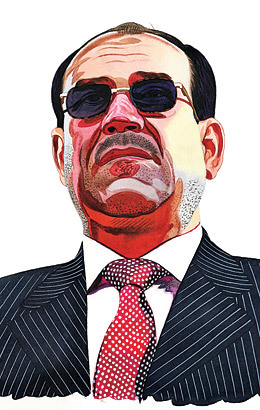 Dawa, long years of exile and the fight against Saddam shaped al-Maliki and his worldview. Al-Maliki, 58, assumed his role at a time when violence was high. The bombing of al-Askari Mosque in February 2006 was intended to cause an all-out war between Shi'ites and Sunni Arabs. During those tense times, I met with al-Maliki often. I found him to be focused on establishing security but torn on some key issues. He understood the need for reconciliation with former Baathists but was concerned that they would conspire to return to power. He told me he opposed the militias, but he was loath to move against the powerful Jaish al-Mahdi (JAM) because its political wing had supported his bid for office and because he believed it protected Shi'ites against Sunni attacks. The evolution in al-Maliki's performance as Prime Minister surprised many. He became committed to building a new Iraqi state. His decision to use force against JAM in Basra in March 2008 — when he took charge of the operation himself — was a defining moment. Al-Maliki has skillfully maintained good relations with both the U.S. and Iran and handled Iraqi political groups well. When I had dinner with him in Baghdad recently, I found him to be more at peace with himself, more confident that Iraq will succeed. But he and his nation face challenges. Iraq needs further progress in reconciliation. Violence could increase again. Kurds and the al-Maliki government need to avoid a drift toward increased tensions. And there has been little progress toward realizing Iraq's enormous economic potential. All these challenges will tax al-Maliki's political skills and determine his place in Iraqi history. I met Hillary Clinton in the 1980s when she spoke in Washington at the Children's Defense Fund. 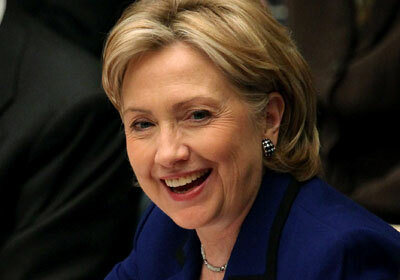 Already her essential public qualities — intelligence, compassion, eloquence and wit — were on display. She was also a fighter for causes that count. Whether people agreed with her or not, they learned quickly that it was worth paying attention to what she had to say. A quarter-century on, Hillary, 61, has proved herself as First Lady, U.S. 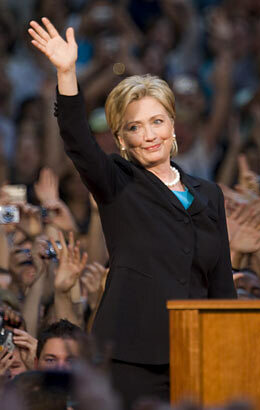 Senator, author and the most successful female presidential candidate in American history. Yet her incredible journey continues. As Secretary of State, she must summon all her skills as a communicator while administering a large bureaucracy in a turbulent era on a global stage. For her, the hardest part may be accepting that in diplomacy, clear-cut wins and losses are rare. Foggy Bottom is a land of carefully chosen words, where unnecessary fights are avoided and multiple perspectives rigorously weighed. A skilled diplomat rarely generates extreme reactions; often, the most one can hope for while speaking is that when heads nod in response, it is in quiet agreement, not slumber. Can Hillary adjust? She already has. It helps that no one doubts her courage, toughness or brains and that everyone knows who she is. It helps more that despite living under intense scrutiny for so long, Secretary Clinton knows exactly what she believes. The mission of public service is in her bones. She loves to tackle hard problems and has an assignment now where the supply is inexhaustible. She brings with her a lawyer's ability to marshal arguments, a pragmatist's skill at negotiating agreements and a natural leader's knack for making herself heard. In the end, she is more likely to change the job than the job is to change her. The changes taking place in Indonesia today are among the most remarkable developments in the Muslim world. The country's transition from authoritarianism has proved that as a democracy, Indonesia can be culturally vibrant and economically prosperous. 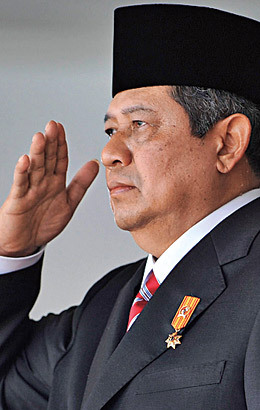 Since winning the presidency in 2004, Susilo Bambang Yudhoyono has managed to keep the nation afloat, even during the current global recession. However, significant challenges lie ahead. Poverty remains pervasive in Indonesia, and the government must press onward with improvements to the country's ailing infrastructure. Businesses are confronted with a bewildering array of regulations, and the country pays a heavy price in corruption and bribery. The coming presidential election promises to be good to Yudhoyono, 59, thanks in no small measure to his having for the most part delivered on his promises. The history of Indonesia's democratic journey may not be that long, but it has thus far shown that the country's people will not re-elect a President who falls short of expectations. 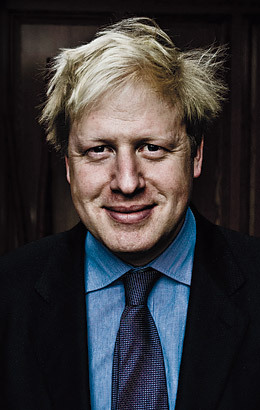 Boris Johnson, 44, is the most original new face in British politics since the emergence of Margaret Thatcher as a capitalist conservative nearly 40 years ago, the most engaging since Tony Blair and the most entertaining in many decades. His instant and natural wit, always lively and almost never nasty, recalls Harold Macmillan, Winston Churchill and even Benjamin Disraeli, though he has mastered self-deprecation as they never did. "But, madam, why?" he famously asked a woman who said she was voting for him. With his ursine physique, mop of tousled blond hair and complicated private life, he seems at first an unlikely candidate for great popularity. But he is impossible to dislike, touches all political and sectarian bases and, in his complete lack of self-importance, is the anti-politician. Never pompous, always good-humored, only serious in the face of matters that could not tastefully be treated otherwise, a crusader for London and the personification of the most well-liked traits of the English, Boris is someone the British will not tire of as a personality, so he will be judged on performance. 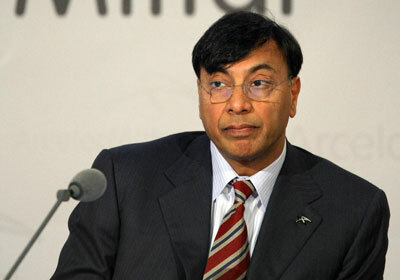 Though he is an alumnus of Eton and Oxford, his family is middle-class. When an editor, and as a Conservative MP, he was impossible to pigeonhole into any distinct group, and his election as mayor of London showed that he pulled support from all sections of that polyglot metropolis. He possesses the superb ability not to offend anyone while espousing policy. 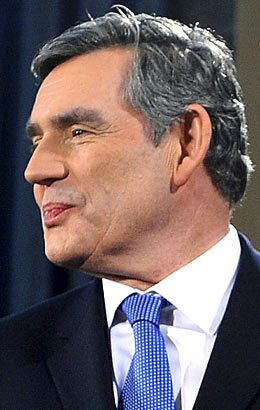 As an MP, he had a constant struggle not to reduce proceedings to a comedy routine. Now that he holds a great executive office, he is showing his mettle in government while losing none of his ability to be a pleasing newsmaker. Boris is in a good position to remain for a long time where he is, or to make the jump to national office following the likely victory of his party in next year's general election. He is a man to watch, and it will be an unusual pleasure to watch him.